Grab a casual dinner the entire family will enjoy in our upstairs dining room. The Pub downstairs is a perfect spot to watch sporting events and enjoy après ski libations. Family friendly, fun atmosphere, and easy to find at 501 Main Street. Don’t miss a chance to rub elbows with the locals. 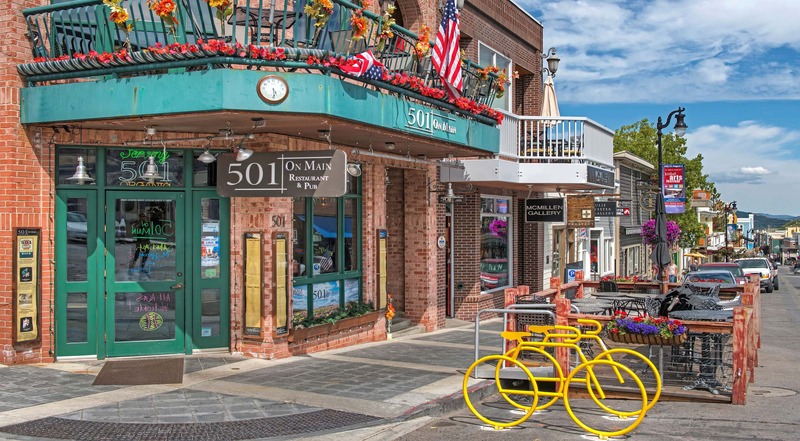 501 On Main serves a fresh selection of American regional favorites, authentic Mexican specialties, fresh classic salads, and unique wrapwiches. The new Main Street level bar is the perfect spot for a quick soup & salad. The Summer street deck will return on May 1st and is not to be missed. The most comfortable spot on Main. Banquets, special events and take out.